2018 marks Falken Tyre’s 20th motorsport season contesting on the gruelling Nürburgring Nordschleife. Yet again, the Falken Motorsports team will battle it out on the notoriously challenging German circuit in the VLN Endurance Championship and world-famous ADAC Zurich 24-Hour Race, competing with a new driver line-up for 2018 and two GT3 cars, the Porsche 911 GT3 and BMW M6 GT3. Falken has competed at the Nürburgring with various Porsche models since 2011, claiming a podium finish at the 2015 edition of the ADAC Zurich 24-Hour Race. Falken’s current Type 991 model from the Zuffenhausen-based manufacturer has a 4.0-litre flat-six engine, producing 500hp, and is shod with 300/660R18 Falken tyres on the front axle and 330/710R18 on the rear. Following its successful debut in 2017, where it secured ninth overall in the 24-hour race, the BMW M6 GT3 will again be piloted by Falken drivers Peter Dumbreck (UK) and Alexandre Imperatori (SUI). The Falken duo will be supported by Stef Dusseldorp (NED) and Jens Klingmann (GER). Team newcomer Klingmann is a BMW Motorsport works driver who has competed in the ADAC GT Masters and IMSA WeatherTech Sportscar Championship, claiming second at Petit Le Mans and fourth in the GTLM class at the Rolex 24 and Sebring in 2015. The BMW M6 GT3 is powered by a 4.4-litre V8 twin-turbo engine with up to 585hp and will be equipped with 330/710R18 Falken tyres. Both the BMW M6 GT3 and the Porsche 911 GT3 will be swathed in Falken’s iconic teal and blue livery. The team’s first outing is the opening round of the VLN, which takes place on 24 March 2018, with the season highlight ADAC Zurich 24-Hour Race taking place on 10-13 May 2018. Mr Mitsuteru Tanigawa has been announced as the new CEO of Falken Tyre Europe. Tanigawa (61), replaces Mr Nishino who has moved to Turkey to head up Sumitomo Rubber Industries’ manufacturing facility. Tanigawa, joined Sumitomo Rubber Industries (SRI) in 1980 and has developed a significant knowledge of the rubber industry with particular expertise in tyres. Past experience includes being director of SRI’s Indonesian tyre manufacturing as well as leading the sales activities in China from 2005 to 200, a period of transformation in China’s development. Since 2012, Tanigawa has worked for SRI’s Sports division that develops and manufactures sporting goods such as golf clubs and tennis racquets. He was mainly responsible for the golf brands XXIO and SRIXON, leading to a deep passion for the sport. In March 2017, four years after first becoming a board member of the division, Tanigawa was appointed managing executive officer. Starting on January 2018, Tanigawa will lead Falken’s expanding European operations from its headquarters outside Frankfurt. Alongside the growth in OE business for the Falken brand, Tanigawa will oversee the expansion of Falken’s distribution network, that has accelerated thanks to the acquisition of Micheldever Tyre Services in the UK in 2017. Over 2000 enthusiasts got to try Falken’s tyres this weekend, as the Japanese tyre maker was the partner for Abarth’s indoor 124 spider Drift Experience at Autosport International. Visitors at the show had the chance of being driven by a pro driver in an Abarth 124 spider as part of the indoor drift experience. With 170hp and suspension derived from Abarth’s racing experience, the 124 spider offered a high level of performance and agility to participants, complemented well by Falken ZE914 tyres. Falken provided Abarth with a total of 42 tyres throughout the weekend, clocking up a significant running over the four days, whilst members of the public enjoyed the opportunity to be driven in the 124 spider. Autosport International took place at the NEC in Birmingham from 11-14 January, welcoming approximately 95,000 visitors over four days. 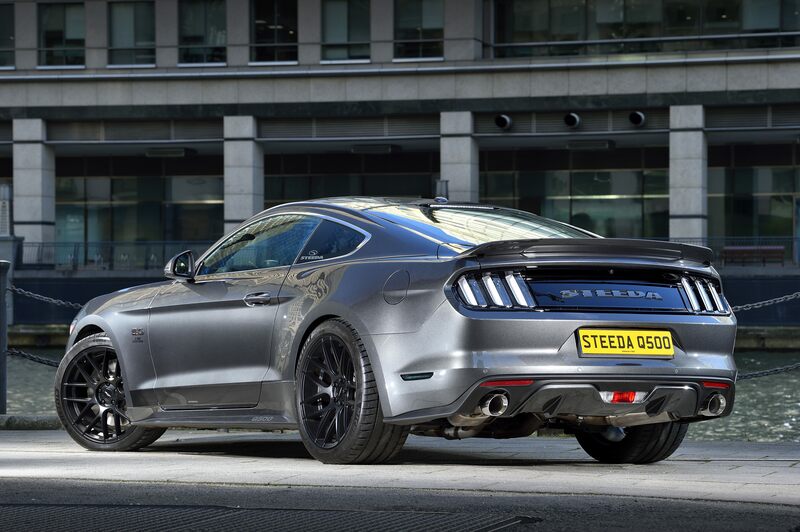 Steeda, the world’s largest privately-owned Ford performance-based specialist, has unveiled its first turnkey V8 Mustang for the European Market. Derived from the 5.0 V8 model, the Q500 Enforcer, part of Steeda’s SSV range of tuned Fords, is a practical and usable sports car that offers noticeable improvements in performance, chassis design and styling over the standard Mustang. Designed to appeal to buyers seeking genuine performance gains many of the changes are found under the Mustang’s skin. By combining a bespoke cold air intake system to increase and stabilise the flow of cool incoming air, revised engine mapping to provide instant throttle response and a custom exhaust that releases the V8 soundtrack that enthusiasts crave, the Q500 develops 480bhp, up from the standard car’s 410bhp and 485lb/ft. of torque – an increase of over 70lb/ft. Significant changes have also been made to the Mustang’s chassis and suspension set up. Developed on Steeda’s own test track in Georgia as well as on racetracks including Sebring and Homestead Miami, the Q500 boasts adjustable suspension and chassis upgrades to sharpen responsiveness. 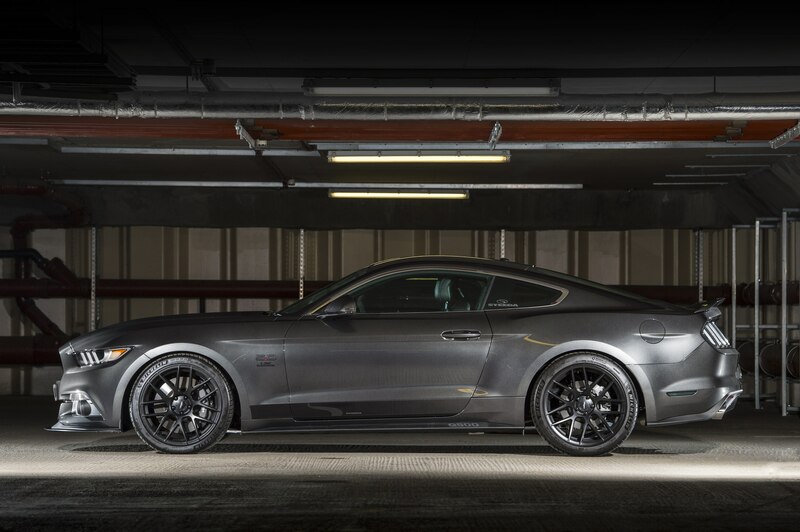 These comprise bespoke thicker front and rear adjustable anti-roll bars that feature solid billet ends and mounts, Steeda’s own progressive rate springs, strut tower brace and upgraded bushes for the Mustang’s independent rear suspension sub-frame. The result is a lowered stance designed to offer the comfort of the factory car with improved turn-in, a much more planted rear end and a noticeable reduction in wheel hop and deflection that can affect the standard Mustang. The Q500 also features Steeda’s sub frame alignment kit to eliminate misalignment caused by a difference in bolt and hole size that has been reported on some factory cars. Customers selecting the optional wheel packages will have Michelin Pilot Sport 4S tyres fitted as standard, whilst track-focussed customers can opt for the Cup derivative. 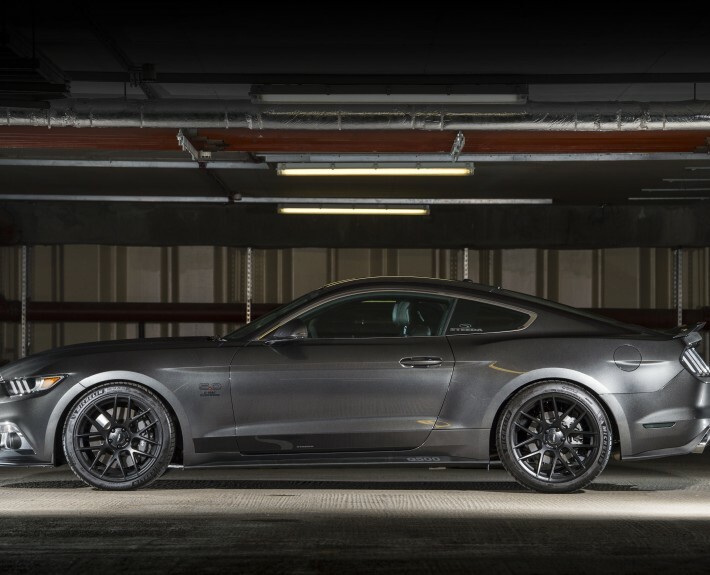 Steeda’s UK first car, revealed at the Performance Car Show, is fitted with satin black 20” Velgen VMB7 wheels that, despite being one inch larger in diameter, and running larger tyres from Michelin all around (265/35/20 and 295/35/20) are Identical in weight to standard Mustang wheel and tyre combination. 19” wheel options are also available. Targeting a ‘factory-plus’ appearance, Steeda’s subtle exterior styling updates tighten the Mustang’s iconic lines. A discrete splitter, developed on Steeda’s race Mustang, reduces lift at the front whilst a polyurethane duck tail has been carefully designed to improve stability yet not adversely affect rear vision. The interior benefits from detail upgrades including Steeda sill trim finishers. A build plate, located under the bonnet and the Steeda script on the rear of the car, confirm its SSV provenance and are only fitted to turnkey cars. In keeping with the Mustang’s tradition of customisation, Steeda offers a comprehensive range of options suitable for either road or track. The most significant on the demo car is the Steeda Coilover Kit, adding fully adjustable dampers front and rear with a height-adjustable front coil over setup including camber adjustable top mounts and a rear spring and damper setup with a height adjustable spring seat. Other available options include a heavy-duty Tremec Magnum XL six-speed manual that can be specified with multiple gear ratio options, an upgraded twin plate clutch, heavy-duty aluminium driveshafts, vented brake discs as well as options to have custom paint finishes for brake calipers and under the bonnet. Options can be specified during build or retro-fitted at a later stage. Priced at £8,998 over the base GT vehicle, the Q500 Enforcer is available to order now from Ford dealer Haynes of Maidstone, Kent. All turnkey Steeda cars come with a comprehensive factory warranty. The Q500 joins the Q350 Sport Mustang and the Mondeo Sport in a growing range of offerings from Steeda for the European market. In the US, where its production-based cars have won more championships and races than all its competitors combined, Steeda is one of the most renowned Ford specialists offering a range of its own road and race parts for Fords including Fiesta, Focus and Fusion/Mondeo models. Steeda is already working on the Q Series packages for the new 2018 Mustang facelift which will launch later this year in Europe with further cars set to be revealed during the year. 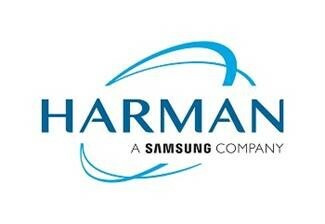 CES – LAS VEGAS – January 8, 2018 – HARMAN International, a wholly-owned subsidiary of Samsung Electronics Co., Ltd. focused on connected technologies for automotive, consumer and enterprise markets, today announced Configurable Entertainment and Moodscape, the latest experience-centric lifestyle automotive solutions offering personalized entertainment, comfort and convenience for passengers. Developed on the company’s new HARMAN AudioworX platform, these new solutions deliver intelligently tailored in-vehicle experiences, ushering in a new era of personalization for shared mobility and autonomous vehicles. The sharing economy shows no sign of slowing down, and car ownership trends will continue to shift. Consumers, however, continue to demand seamless connectivity and in-vehicle personalization. These can be sacrificed with today’s ride sharing services, where personalization options are often dictated by owner rather than passenger preferences. Targeted to shared fleet organizations like Uber and Lyft, HARMAN’s proprietary, software-based Configurable Entertainment allows shared mobility providers to offer multiple in-car brand and entertainment experiences through a single set of in-vehicle hardware. This puts the power of personalization back into the hands of ride-share passengers, making every ride an extension of their lifestyle. With Configurable Entertainment, automakers can further differentiate from competitors and increase overall customer satisfaction by offering consumers a choice of in-vehicle audio brand experiences. For example, one user can select in-vehicle gaming or a heart-pounding concert experience through JBL audio for their ride; while the next passenger – in the same vehicle – can choose a completely different experience, such as watching a movie or enjoying a more intimate music performance with the refined sound of Harman Kardon to enhance their trip. Proprietary Shape-shifting Speakers: In-vehicle speakers transform in real-time to provide different experiences in line with user preferences. For example, a unique sound bar or tweeter can dynamically morph from one audio brand experience to another, both sonically and visually. Unique Industrial Design: Brand-specific visual elements such as logos and speaker grilles can change in real-time to match user preferences. Adaptive Audio EQ’s: Sound tuning will adjust on-demand to deliver the iconic listening experience associated with the user’s preferred audio brand. Configurable Entertainment leverages HARMAN’s award-winning automotive cloud platform, HARMAN Ignite for seamless connectivity and device management, allowing passengers to personalize in-vehicle entertainment experiences in real-time – a first for the industry. Preferred personal settings can be catalogued, saved on compatible devices and seamlessly deployed for any ride. For automakers, it is an example of how HARMAN provides a complete, end-to-end solution for implementing advanced connected in-vehicle applications and features. Automakers are placing an increasing emphasis on the vehicle interior as a place for reflection and focus in response to growing consumer interest in wellness and lifestyle optimization. In step with this trend, HARMAN’s Moodscape uses mood-based features to redefine comfort and entertainment in the daily commute. 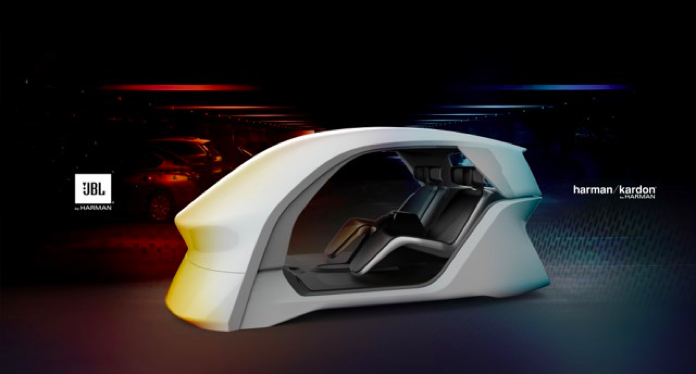 Moodscape intuitively adjusts the in-cabin audio experience, delivering music with a mood-based EQ and sound levels to help passengers prepare for whatever is next in their day. Additionally, Moodscape features new HARMAN QLED Auto technology, providing a stunning visual experience for passengers through the first-ever automotive QLED vehicle roof application. Music Motivator: Whether heading to a meeting, to a party or to the gym, Music Motivator synchronizes with calendars, identifies GPS routes and analyzes available biometric feedback to build and deliver an audio experience based on passengers’ whereabouts, schedule and energy level – so that wherever they are headed, they arrive focused and ready. Personalized Audio Alerts: Created with safety in mind, Personalized Audio Alerts heightens attention to navigation, traffic and weather incidents through directional audio, allowing drivers to keep their eyes on the road and respond more quickly to prompts. HARMAN QLED MoodRoof: The passenger’s choice of environmental sounds fills the cabin, complemented by a state-of-the art visual experience through HARMAN’s QLED MoodRoof. Tailor-made for autonomous vehicles, MoodRoof replaces the traditional moon roof with a choice of immersive visual landscapes brought to stunning life by this first-of-its-kind automotive QLED application. Both Configurable Entertainment and Moodscape will be demonstrated at the HARMAN Showcase at CES 2018. ART Grand Prix has signed British rising star Callum Ilott to drive for the team in the 2018 GP3 championship. The announcement comes just weeks after the 19 year old, who took a dominant win of Macau’s Qualification Race at the FIA F3 World Cup, was confirmed as the first-ever British member of the Ferrari Driver Academy (FDA). “Together with the FDA, we made the decision to do GP3 with ART and I’m really happy with this as the first step in our partnership,” says Ilott who tested with his new team at the official GP3 test in Abu Dhabi last week. Ilott joins the French squad with a strong pedigree in international racing, showcased most recently with a commanding race win at the Macau Grand Prix street circuit. With multiple karting championship wins to his name and the European Karting Championship title in 2014, Ilott had an unusual debut in single seater racing jumping directly from karting to F3 at age 16. Having secured twelfth, sixth and then fourth in consecutive F3 Championship years, Ilott wrapped up his F3 2017 campaign with seven wins, twelve podiums and eleven pole positions. With a record seven Teams’ titles in GP3, the French ART Grand Prix squad is the most successful outfit in the series which will support nine rounds of the 2018 Formula One World Championship. “ART is a very professional team with a proven track record in GP3 and I am hugely excited to start working with them,” adds Ilott. “To be selected by ART for one of its much coveted seats is a real privilege. I am really looking forward to a new car, new tracks and new challenges and showing ART what I can do,” concludes Ilott. The first race of the 2018 season takes place on the 11-13th May as the opener for the F1 weekend at Barcelona, with the series culminating at the Yas Marina track in November. Paris, December 1st, 2017 – Available today in Europe in digital and retail versions, players will discover, for the first time on Nintendo Switch, an authentic world of cars with Gear.Club Unlimited. They will walk up to the most fantastic racing cars around, vibrating to the roar of the incredibly powerful engines, and feel what it’s like to be behind the wheel of the most beautiful cars in the world. To make them even more powerful and competitive, players can customise their vehicles – from the bodywork to the engine. Thanks to the modularity of Nintendo Switch, players can enjoy the expertise of Eden Games everywhere, in handheld mode or on a TV, on their own or with their friends. Gear.Club Unlimited is developed by Eden Games and published by Microïds. The game is available today – December 1st on Nintendo Switch on physical and digital versions in Europe. The game is rated PEGI 3 / USK 0. Falken Tyres celebrated its global partnership with Liverpool Football Club as its Official Tyre Partner ahead of the weekend’s game. A shirt presentation ceremony took place before the Reds game with Chelsea on Saturday 25th November at Anfield, where 50,477 fans saw the clash end in a 1-1 draw. As a specially sponsored game, Falken’s presence was felt all around Anfield, with its branding appearing prominently in the players’ coach entrance, in the Liverpool dugout and on the LED sideboards. Announced in July, as part of the Reds pre-season tour in Hong Kong, the partnership will see the two brands work together to create unique experiences for fans and customers alike, while opening further growth opportunities in Falken’s key global markets. Distributors in the UK, alongside activation opportunities and brand building activities, can also expect giveaways, access to hospitality and invitations to bespoke partnership events.